12 and under free (must be accompanied by an adult). Pre-purchased Rodeo tickets get you free gate admission. Pre-purchase Ride Wristbands at Marketplace IGA or Mac convenience stores for only $29. Available until May 17th only at select locations. 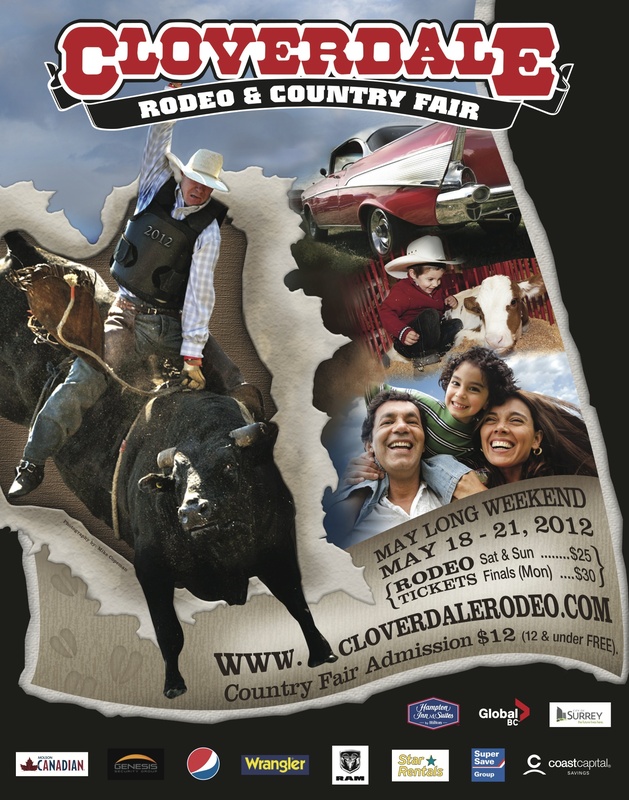 Attention thrill seekers: Get ready for more than 35 stomach-turning, head-spinning, adrenaline-surging rides at the 2012 Cloverdale Rodeo & Country Fair. British Columbia’s largest traveling midway is back again this year, and the West Coast Amusements Midway will feature bigger and better rides than ever before. For the G-force junkies there are rides galore guaranteed to keep stomachs turning and eyes blurring. Guests can experience the free falling feeling of 1001 Nachts, go for a gut busting whirl on the popular Spin Out, go upside down and inside out in the Tilt-a-Whirl and for the most jaded thrill seeker there’s the monster of the midway: The Twin Flip! The ride comes to the Fraser Valley from England and is the only one of its kind in North America. This year’s Midway has two brand-new games designed to challenge even the steadiest of hands: Whopper Water Game, a new twist on an old classic where competitors shoot their bear to the top for the chance to win big, and the Air Bazooka. The midway also has a new look! Check out the new mascot, more colourful decorations, and with mom and dad in mind, more places to sit and take in the sights and sounds. Don’t miss the car show! During the Country Fair, the car show will feature millions of dollars of killer cars and hot rods. There will be daily contests including guests vote on cars, women only vote, 50″�s / 60″�s music, a visit from Elvis, and maybe even Marilyn.